This adorable, fully remodeled 3 bedroom 1 bath home is perfect for that first-time home buyer or young family searching for that move-in ready home! It has been completely redone with beautiful new laminate throughout the main rooms and gorgeous tile in the kitchen and bath. Everything is freshly painted. The kitchen cabinets have new hardware and counter tops. Complimentary lighting fixtures, new closet doors in all bedrooms, all-new bathroom, and a brand-new roof are just a few of the features in this wonderful home. There is also a 2-car detached garage, carport and long driveway for plenty of parking. In the warmer months, you can enjoy the covered patio and spacious backyard for family get-togethers! 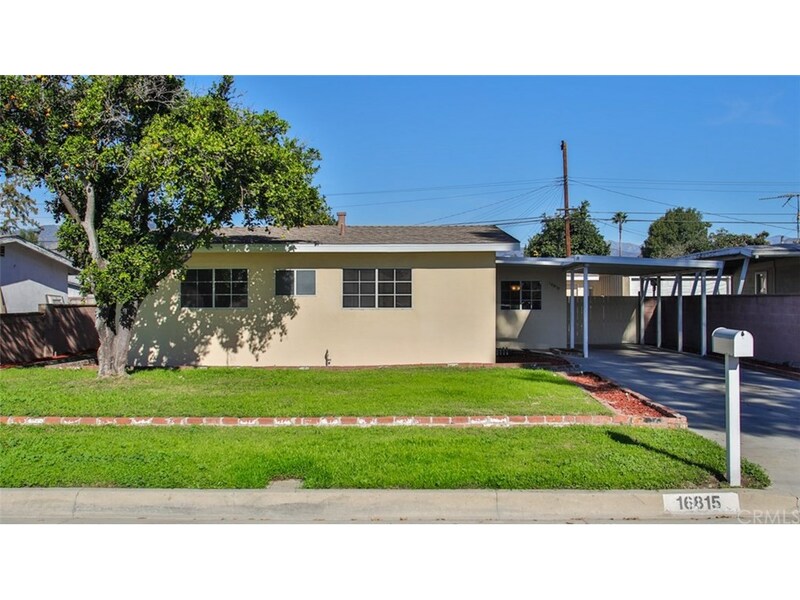 Come check out this perfect little gem in the heart of Covina!